When reports come out that renowned pachinko manufacturer Konami treats its game developers like prisoners, you won’t hear much. But when a website suggests that the new game Metal Gear Solid V has required microtransactions? Konami comes out swinging. Goddamn. “That is simply not true.” Konami going HAM. Now, you might be wondering: who’s actually telling the truth? Game publishers tend to lie and mislead people when faced with information that they don’t want made public, so it’s silly to take Konami’s statement at face value, but the game comes out in a week. If Konami is really misleading people, we’ll know about it pretty quickly. 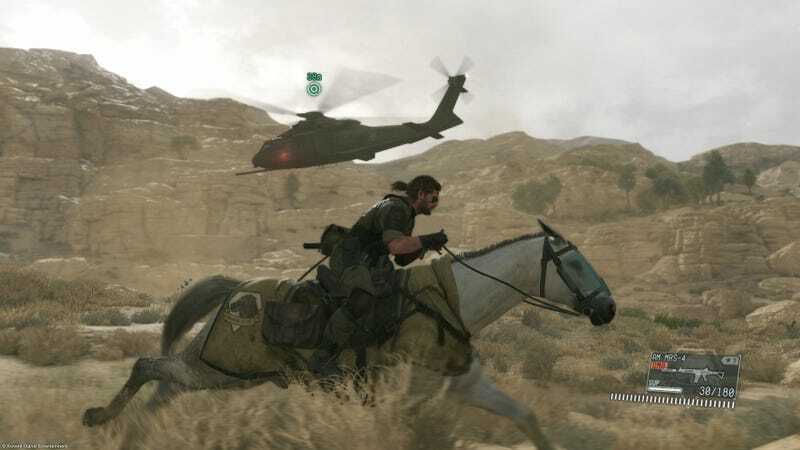 I’ve been playing Metal Gear Solid V—it’s goddamn fantastic—but I haven’t gotten to the point where I can unlock FOBs, and the online features won’t be enabled until the game’s officially out on September 1. I haven’t seen anything in the game about microtransactions or MB Coins yet. So I can’t confirm these details firsthand. GameSpot’s Peter Brown has doubled down on his reporting, for what it’s worth, tweeting an image that suggests that players have to buy these MB Coins to buy territory and place FOBs. But none of us know how MB Coins are obtained or whether we’ll be able to get them through natural in-game progression once the servers go live. We simply don’t have all the information yet. So is this the case of a corporation trying to hide consumer-unfriendly decisions or a video game website jumping to angry conclusions based on incomplete info? We won’t know the full deal until next week. Either way, it’s all very entertaining.